Workplace by Facebook is a great platform to communicate and collaborate. The AODocs to Workplace connector can help you broadcast structured information to Workplace from your favorite Document Management system: AODocs. It also works the other way around. 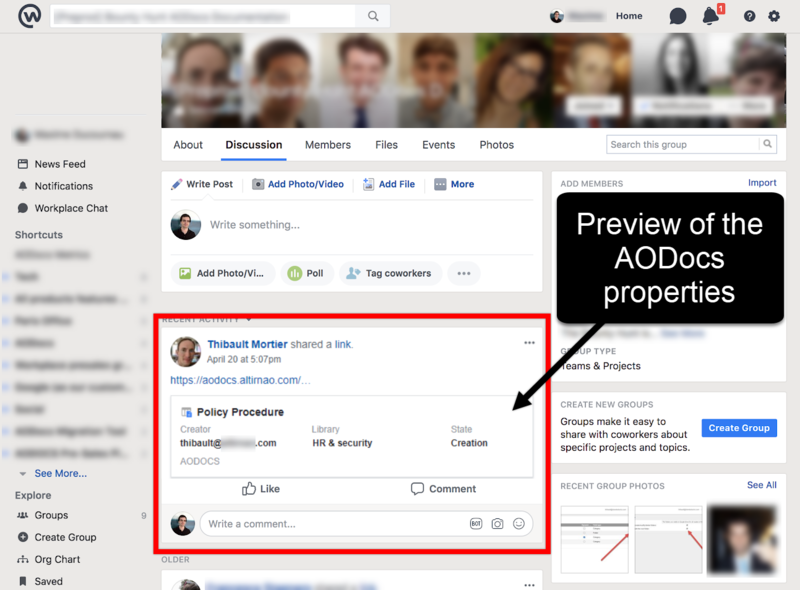 You can structure your ideas and discussions by transforming workplace posts into AODocs documents, to leverage workflows.